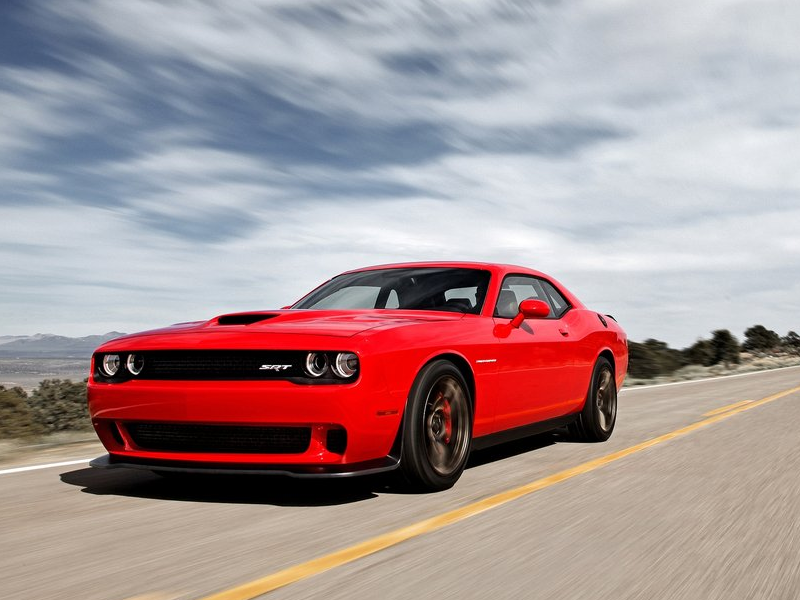 The most powerful Dodge is best with “mechanics” - Drive Dodge - Drive Sport! New mechatronic chassis also has four modes (Custom, Sport, Track and Default), change the settings steering response to pressing the accelerator pedal and the mode of transmission. Equipment compartment includes 20-inch alloy wheels with six-piston brakes Brembo. The manufacturer has not officially brought the exact dynamic characteristics of the oil car. In the American National Association of hot rods (NHRA) announced that Dodge Challenger SRT Hellcat, equipped with “automatic”, passing dragster’s distance of a quarter mile (402 meters) of 11.2 seconds (with radial tires – in 10.8 seconds).